The Institute of Thermal Technology is organising the workshop on advanced techniques in CFD. 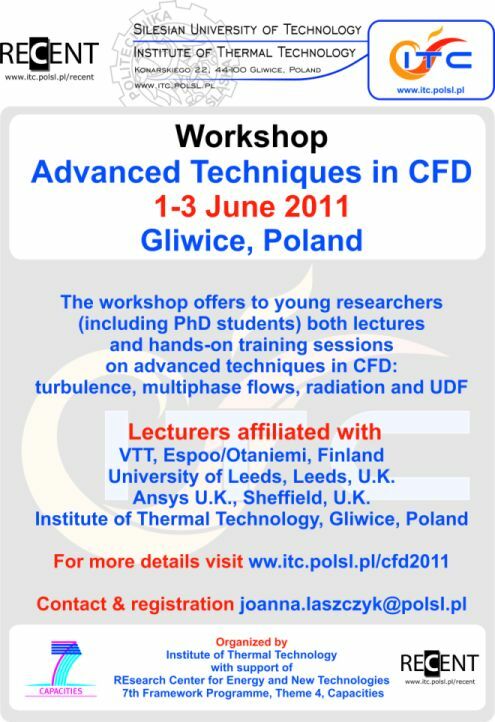 The event offered to young reseachers (including PhD students) will be held in Gliwice, Poland on 1-3 June 2011. University of Leeds, Leeds, U.K.